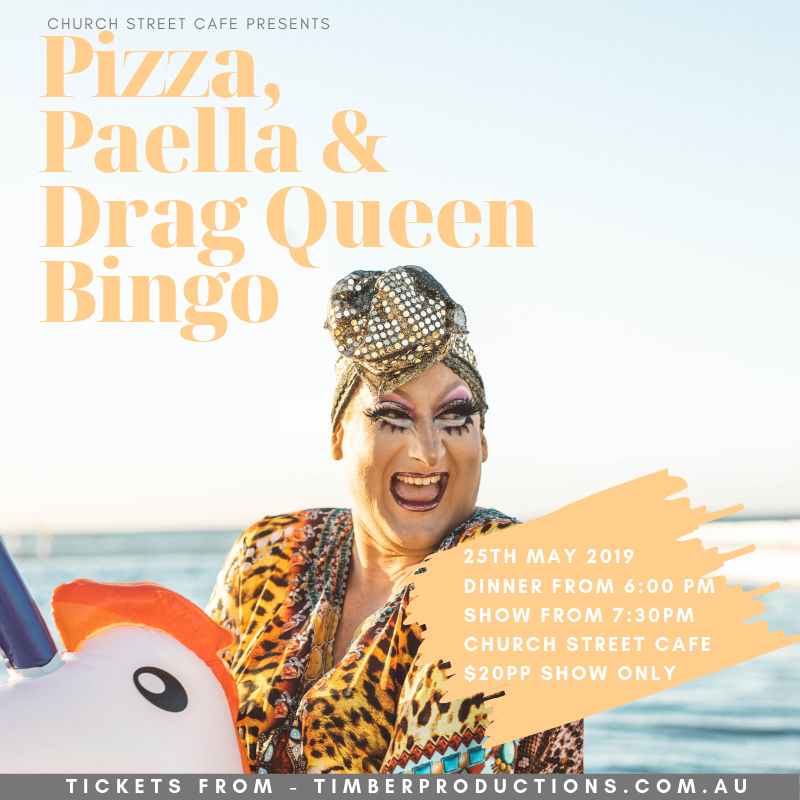 Enjoy a night of fun and laughs with Drag Queen Bingo. Be entertained by the naughty quick wit of Timberlina. Her over the top style and dazzling repertoire will have you in stitches. 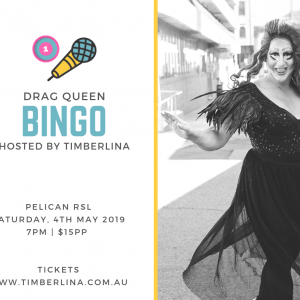 Tickets for Timberlina’s Drag Queen Bingo are just $20pp for three games, entertainment and a night full of laughs! Church Street Cafe will be doing Pizza and Paella on the night! If you are buying tickets individually let us know who you want to seat with/near! LIMITED TICKETS ONLY – GET IN FAST! There will be great prizes – remember those daubers, if not we will have some for sale for only $4! Drag yourself out for a good night.